Does persistence (out of sample performance) exist for alternative beta strategies sponsored by investment banks? Does adding complexity to a strategy increase the risk of backtesting overfitting? 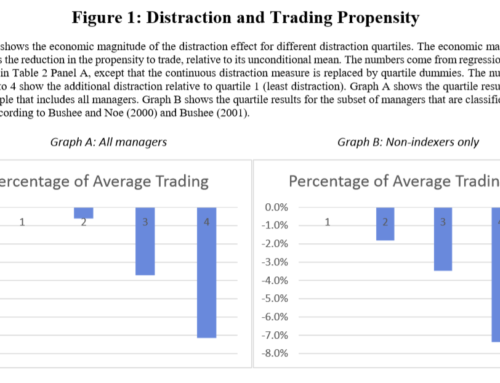 Do the strategies capture the factor exposure they seek to exploit? And, does the exposure remain consistent between backtesting and live periods? The equity value strategies display a positive and significant exposure to the value factor, which becomes insignificant and negative in the live period. Differently, the equity volatility strategy, the fixed income curve strategy, and FX carry strategy show consistent exposures both in the backtest and live periods. This study contributes to an emerging body of research on backtest overfitting in alternative beta strategies. In fact, it focuses on a very particular dataset: strategies sold by investment banks. The findings highlight the importance of due diligence on quantitative strategies (which we also highlighted in the past here) and suggest that backtested performance need to be taken with a grain of salt when selecting a strategy. The authors conclude by suggesting two further readings: Principal for Financial Benchmarks (IOSCO, 2013) and Financial Benchmarks: Thematic Review of Oversights and Control (FCA, 2015). The authors investigate the biases in the backtested performance of “alternative beta” strategies using a unique sample of 215 trading strategies developed and promoted by global investment banks. Their results lend support to the cautions in the recent literature regarding backtest overfitting and lack of robustness in trading strategy performance during the “live” period (out of sample). The authors report a median 73% deterioration in Sharpe ratios between backtested and live performance periods for the strategies, and they establish a link between performance deterioration and strategy complexity, with the realized reduction in live versus backtested Sharpe ratios of the most complex strategies exceeding those of the simplest ones by over 30 percentage points. The robustness of strategy exposure to risk factors varies between asset classes and strategies; it appears reasonable in equity volatility and FX carry strategies but quite weak in the equity value strategy in particular.